I've been aware of Tai Phong for a number of years, since 1996, in fact. I remembered a mail order catalog describing them as something like CSNY gone totally progressive. Most others never made that comparison, but I can understand where that catalog was coming from. For one thing, the vocalist (I presume Jean Jacques Goldman) often sounded a bit like Graham Nash. Yes, there are vocal harmonies from time to time, but prog opinion tends to compare it to Yes, even that, it don't remind me that much of Yes. Just recently I ran across an original LP on their second LP, Windows at a Eugene, Oregon record store and decided to get a copy. I was really shocked with the amazing sound quality, given so many LPs I own on the Warner Bros. label have such crummy sound quality, even non-US pressings, like Greenslade's Bedside Manners are Extra and Curved Air's Airconditioning (although the latter can be easily forgiven since my copy is a picture disc). This album gives me that same reaction I get with Barclay James Harvest, perfectly pleasant listen, but nothing that really blew me away, but still worth having in my collection. There are times I almost get reminded of Pavlov's Dog, particularly when the vocals go into almost David Surkamp territory (but not as so ridiculous, as the vocals don't have that same absurd vibrato). Not every day you come across a prog rock band that has two Vietnamese (believe it or not, Khanh Mai and Tai Sinh weren't the only Vietnamese involved in prog, Jean My Truong, drummer for Heldon, was also Vietnamese). Jean Jacques Goldman was Jewish, so what you got is a multi-cultural band (the other two I'm sure were your typical Frenchmen of Catholic upbringing, apparently some early incarnation included Americans). 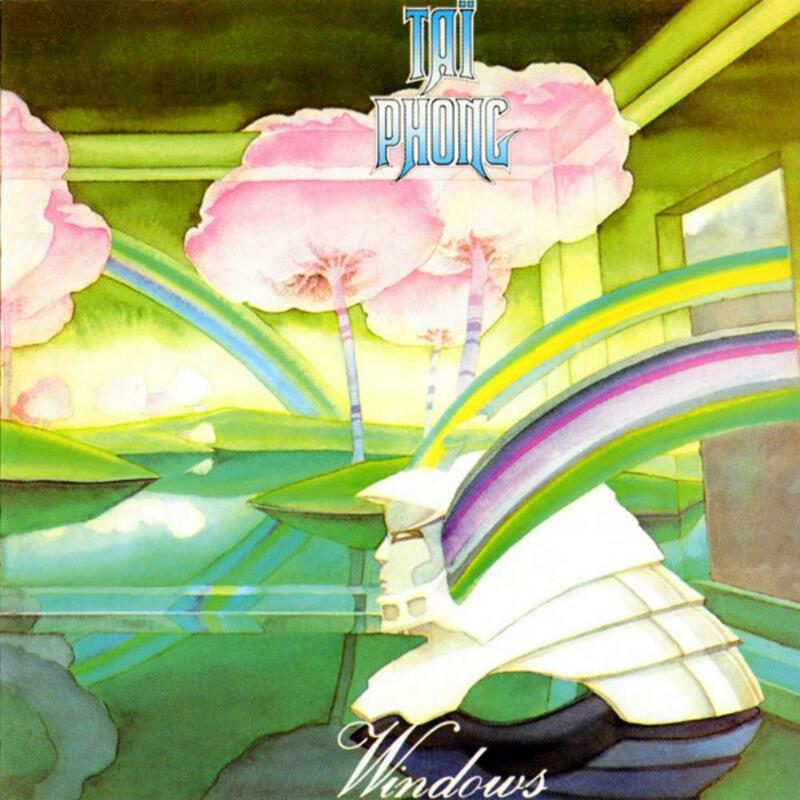 Tai Phong might not have the highest opinion of the prog community, probably because they're not the most intense or mindblowing out there, and with Windows, it sounds more like they were emphasizing ballads, but I found a lot of them rather nice, particularly "Games". I like some of the synth work from Jean-Alain Gardet, especially when he gives it a nice spacy feel (Hammond organ, Moog, and Elka Rhapsody are what he uses here, as well as piano). I like how "The Gulf of Knowledge" gives a more Asian feel. For the most part, this isn't the usual French prog where vocals are sung in French (like Ange or Atoll) or made-up language like Magma, this was sung in English, in hopes of international recognition ("Sister Jane" from their debut album appeared to be a hit in France). This isn't something heavy or intense but I didn't need to have all my prog to be like that. Sure there are a few cheesy moments, like the acoustic ""Last Chance", not to mention some of the vocals, but for the most part, it's a pleasant listen. Deserves a three and a half, but I'm not given that option, so four stars it is. One of those album you shouldn't overspend on.